Ramen noodles are all the rage at the moment. 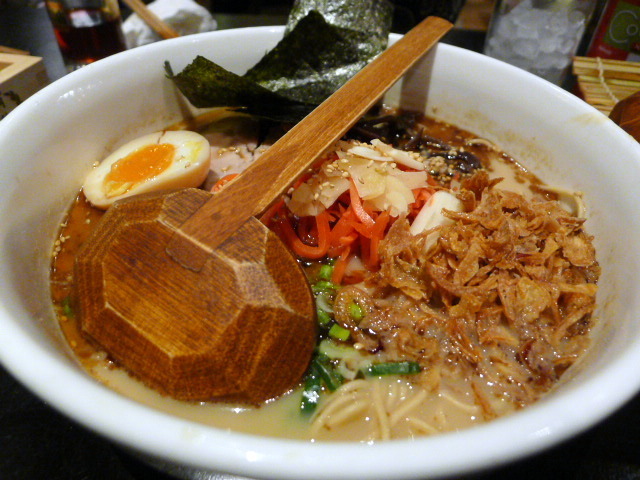 In the last year or so London has seen the opening of such ramen houses (or ‘ramenya’ as the Japanese like to call them) as Bone Daddies and Tonkotsu. I can’t work out whether these openings have either fuelled the ramen craze or were in response to the craze, but competition can only mean standards remain high and that translates to good news for the diner. Another addition is Shoryu Ramen which is owned by the same people as those who own the Japan Centre on Regent Street. Now these people know a thing about Japanese food, and the success of the first branch of Shoryu Ramen on Regent Street has led to the recent opening of their second branch, Shoryu Ramen Soho. It’s a no reservation restaurant but there were no queues when we popped along on a Monday night. It’s a lovely little space, modern and comfortable with nice thoughtful touches such as the wicker baskets placed under each of the tables for ladies handbags. 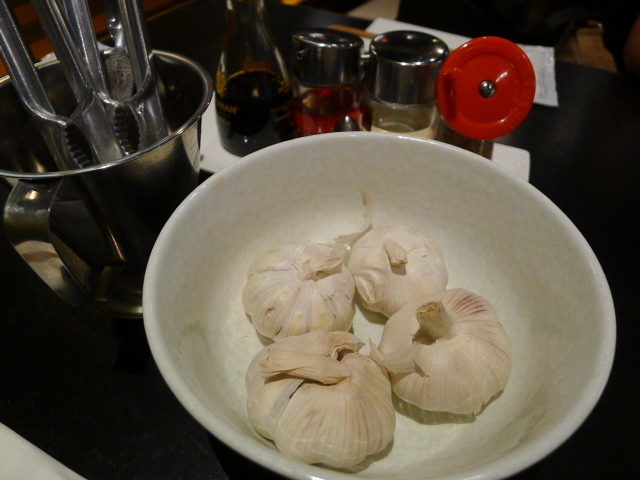 And in addition to the condiments on top of the tables, there’s also a basket brimming with fresh garlic and some garlic crushers should you choose to enhance the flavour of your tonkotsu broth. 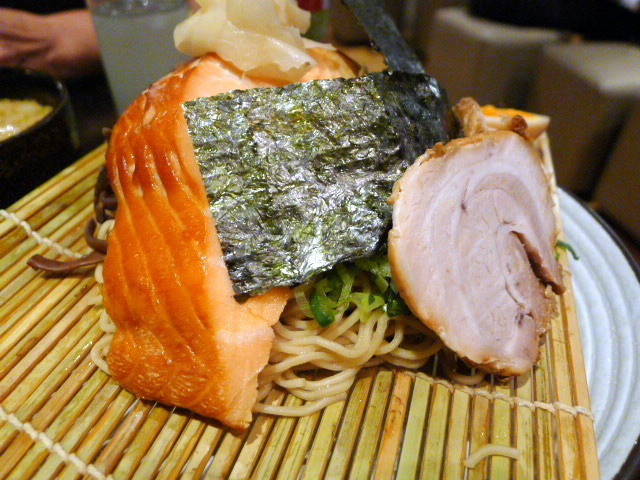 The menu is interesting with a whole lot more to offer than just ramen noodles. Take the hirata buns with pork belly (2pcs – £6) which were sublime. The dough was excellent, being light, fluffy, chewy and springy, all the same time. The pork belly was also scrumptious as it was succulently tender and juicy. So when you combined the deliciousness of the pork with a spicy sauce in a tasty bun, this created a match made in heaven. Even if you do not like noodles, a visit to Shoryu Ramen for these buns really is a must. Other choices of filing are available although according to our waitress the pork belly was the best of the lot. 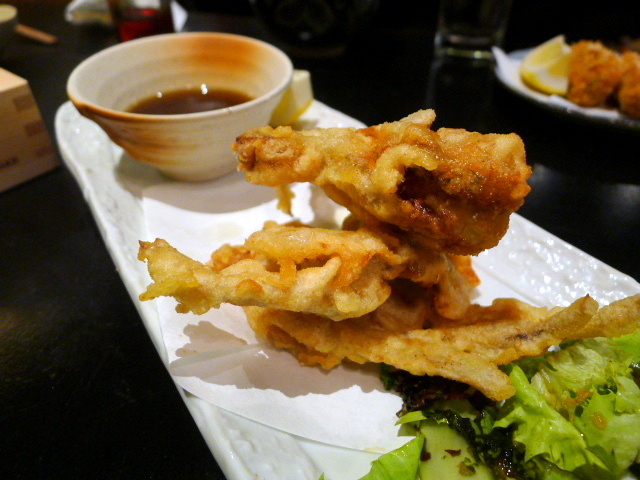 Deep fried soy, garlic and ginger marinated soft shell crab tempura (£7) was meaty and juicy and full of flavour. The batter was really nicely done and very crunchy, although not quite as airy and light as the more standard tempura batter. 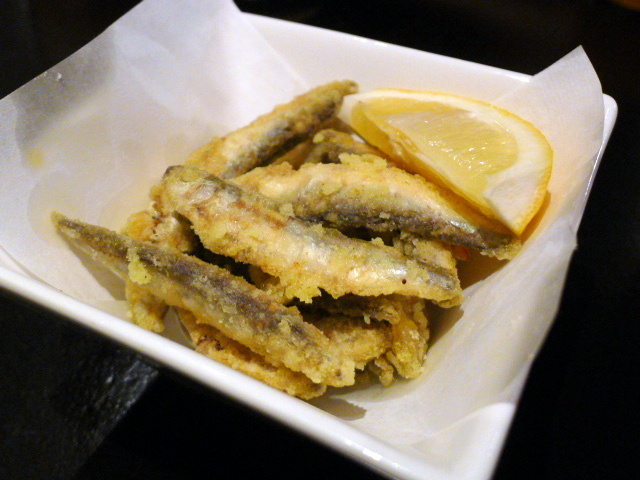 Another fried seafood starter, and the whitebait proved to be equally yummy. The fish was super fresh, and the light coating was crispy and light. 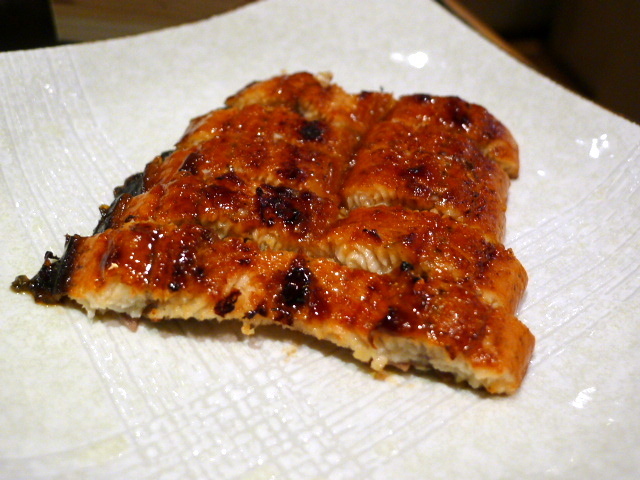 Unagi (eel) with a teriyaki glaze (£9) was perfectly cooked and meltingly soft on the tongue. The sauce was beautifully reduced with a slightly sweet and slightly salty effect to enhance the delicacy of the eel. But being so good, I only wished there had been a touch more sauce. 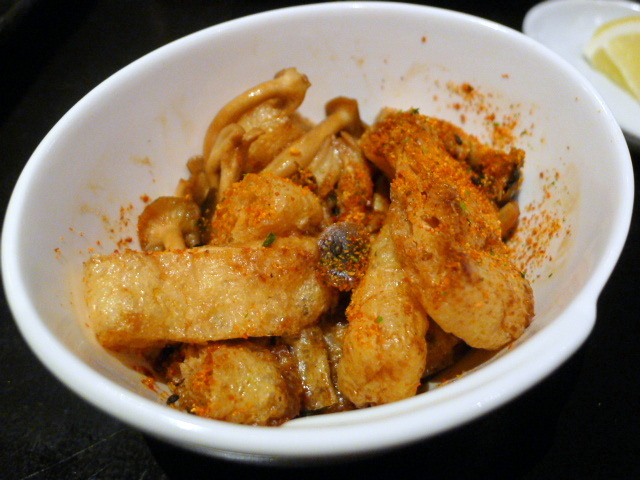 Shichimi shimeji mushrooms (£5), pan-fried Asian mushrooms with tofu and 7 spice was delectably spicy. The mushrooms were gorgeous and full of flavour with a firm texture to them. This was a pleasant combination of flavours and textures. Moving onto the ramen, and the ‘Dracula Tonkotsu’ (£11.90) was a bold, bold broth of dramatic proportions. The base was a tonkotsu broth made from pork bones with the added dimension of deep roasted caramelised black garlic, balsamic vinegar, garlic chips and raw garlic pieces. It was a strong flavour and not for those whose preferences might be a broth that is lighter and sweeter. The ramen comes with BBQ pork, a nitamago egg with a delicious looking golden yolk, kikurage mushrooms, beansprouts, spring onions, sesame, ginger, nori and mayu (caramelised black garlic oil), all of which made for a fine combination of ingredients. The ramen noodles were homemade and very tasty with a touch of springiness to them. Fire and ice salmon tsukemen (£12.50), a cold ramen with a warm wasabi-tonkotsu dipping sauce, BBQ pork, Isle of Ewe hot smoked salmon and nitamago egg was really nicely done. The dipping sauce had a lovely rich broth and the smoked salmon was generously sized and moist even if it was a touch salty. 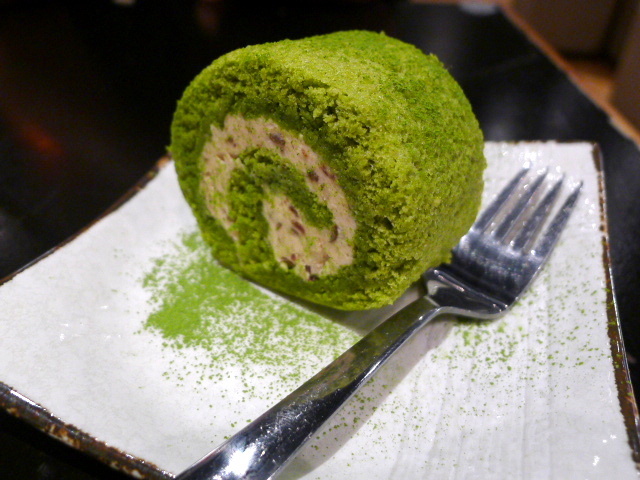 We enjoyed the dessert of matcha azuki rolled cake (£4). The sponge was light and moist, and the azuki cream filling was gently flavoured but quite thick in texture. 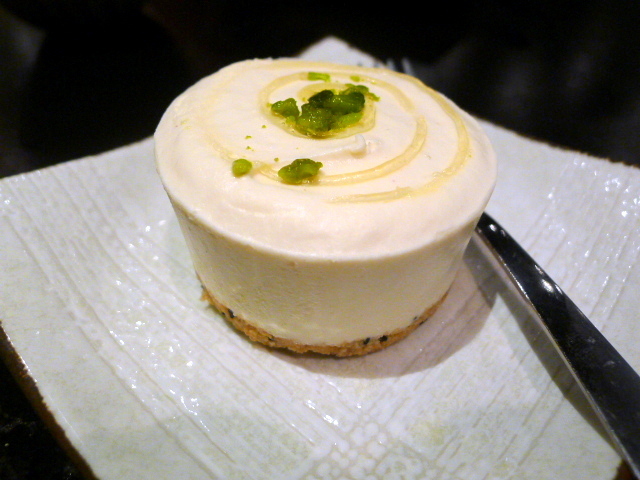 A yuzu cheesecake (£4.50) was delicious and creamy, and although light on the yuzu effect, it was delicious nevertheless. On the drinks front, Shoryu Ramen also have a wicked selection of sakes, shochu and plum wines and boasts about 120 different choices including the Junmai Daiginjo Gekkeikan Horin (120ml – £12.50), a premium sake where the rice has been polished to 50% of its original size and fermented at a low temperature. 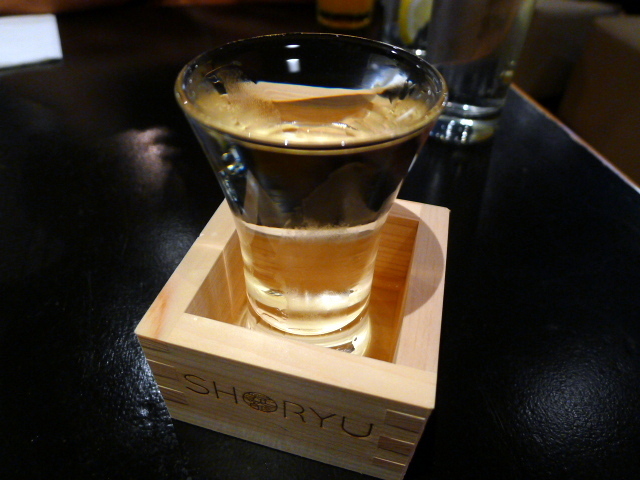 An elegant and smooth sake, it was fragrant and easy on the palate. Shoryu Ramen was more than just a noodle bar. There was great diversity and variety on the menu and a well-stocked Japanese sake list to boot. The cooking was yummy too, and while the noodles were decent, surprisingly these weren’t the items that wowed me but the starters. And those hirata buns – they really are to-die-for. The service was efficient and friendly. Prices: About £25 to £30 for three courses, excludes drinks and service. 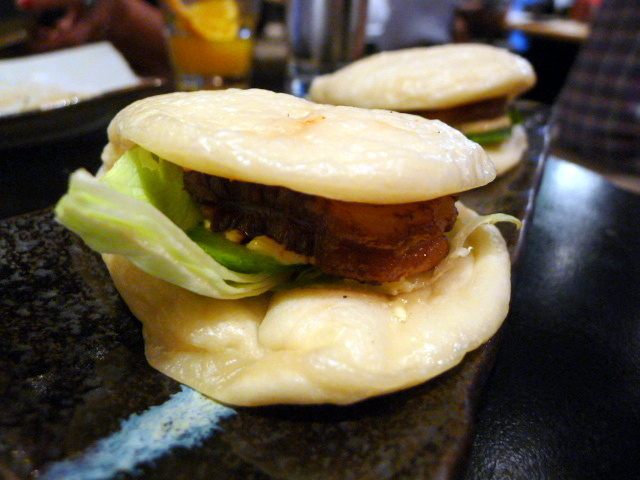 You have to try the hirata buns with pork belly! I promise you will not regret it. Looks fabulous and a great extension on the menu of the Regent St branch.